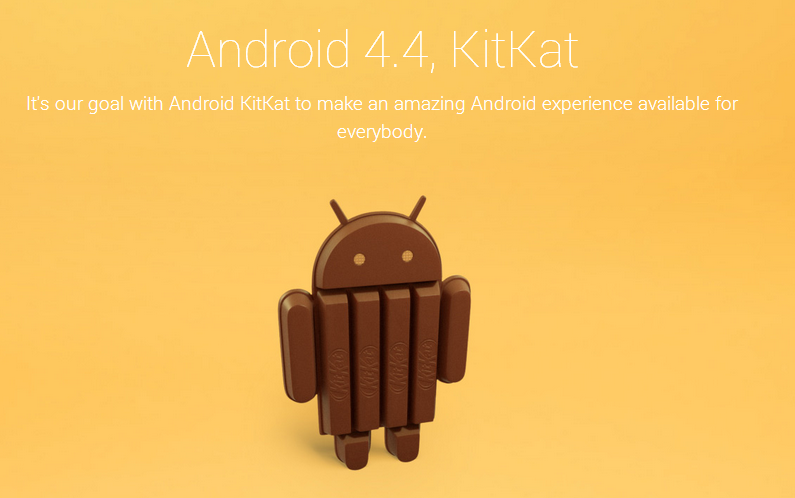 You must be aware about it now, Google has named its new Android operating system 4.4 as KitKat in a obvious financial arrangement with Hershey and Nestle. 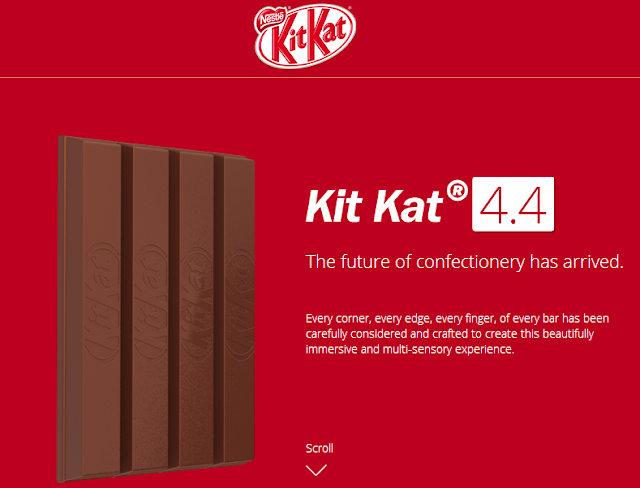 There is a virtual wave of information regarding the Androrid 4.4 KitKat, Hershey and Nestle available on the net. But do take a look at how Google and Hershey are promoting their respective products in a unique way. KitKat.com the official site of KitKat has opened a webpage in style of a old age thumb flick or flip book which when flicked or flipped gives a series of pictures that vary gradually from one page to the next, so that when the pages are turned rapidly, the pictures appear to be animated. Only with KitKat.com you have to keep your down arrow cursor pressed to enjoy the fun. Google has also opened android.com/kitkat with similar down scrollable animation. Both of them had said that there was no money involved in the deal but by the look of things both of them are surely working together in promoting their own KitKat.